It seems that social networks today have left out a significant group of individuals that are essential to the growth of music in the world. There is not a single artist in the world that became successful out the gate without having to go through a growth period as an independent artist in order to become discovered. So where is the opportunity for independent artists to be discovered within social media platforms today? According to a report provided by Next Big Sound’s 2013: The Year in Rewind, nearly 91% of all artists are considered undiscovered, nearly 7% are developing, 1.4% are mid-sized, .9% are considered mainstream, and finally only .2% are mega-stars. As you can see, mainstream artists make up a paltry 1% of all artists yet command a whopping 87% of Facebook and Twitter likes and/or followers. 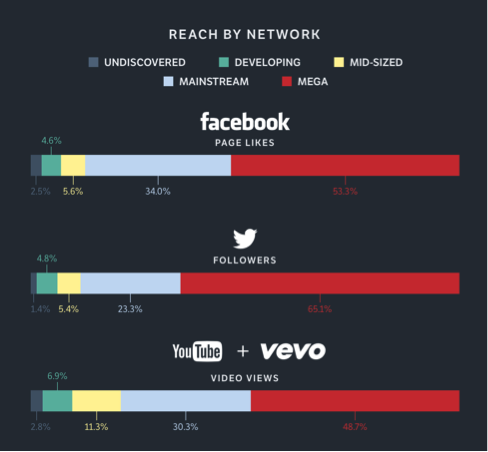 While YouTube offers a platform for undiscovered artists, they make up less than 10% of all artist-related views. Pursuing music as an artist should not be an “all or nothing” approach. If there were viable platforms for aspiring artists to be heard, other than just YouTube and VEVO to name a few, then the opportunities for them to reach mainstream would increase exponentially. Insert solution here: www.agopoliscoin.com. AGOPOLIS proposes to finally pave a highway for independent artists to definitively reach a level playing field in terms of gaining greater exposure and profit opportunities. With AGOPOLIS, independent artists from across the globe have the opportunity to take advantage of an already robust social network with a seamlessly integrated music stream. This in turn, enables them to broadcast their content to the masses while monetizing their tracks within the AGOPOLIS marketplace. Each and every artist will have the opportunity to take center stage on AGOPOLIS’ revolutionary music broadcasting platform with a consistent audience. In short, it gives a voice to the millions of aspiring artists that just want a fair opportunity to be heard.